When it comes to making money online, one of the places that is recommended for affiliates now starting out is Clickbank. Clickbank is an affiliate network where you can find information products and services and even physical products that you can promote and earn up to 75% commissions. The reason why Clickbank is recommended is because it is very easy to get started – just fill out the form and you can start promoting within minutes. However, it is not as simple as grabbing your affiliate link and posting it everywhere online, a typical newbie mistake. There are lots of different ways you could go about promoting Clickbank products from posting ads in magazines to making videos and uploading them to YouTube with your affiliate link in the description. Results may vary depending on your choice of promotion and even the product that you chose to promote. No matter how you chose to promote your product, you still need to get a couple of things right before you can even grab your affiliate link. This is something that held me back in the beginning because I didn’t understand until a bit later. The first key to promoting Clickbank product is either (or both) of the two points below. A common mistake first time Clickbank affiliates make is to chose a product that looks good to them (probably one they think will make a lot of money) and they try to promote it. Inevitably, they’ll check their account and stare at the zeros, then they’ll go to Google and type in “how to promote Clickbank products”. The first thing you should do though is to find a niche market (group of people who the product is for) or find a product then try to figure out who it is for. Finding the perfect niche could be about what you’re interested in personally, one of your hobbies or something you’ve had experience with. Maybe you’re passionate about fishing – in this case you could promote Clickbank products in this category because of your knowledge about this niche market. If you chose a fishing product instead with no knowledge of the niche, you’ll have a tougher time promoting the product. Whether you chose the niche first or the product, your next step would be to do the proper niche research. This is a key part of promoting products on Clickbank. If you decide to skip this important step, you would run into all types of problems with your promotion. Someone who has a passion for the niche they’re promoting already has some type of knowledge they could use. If you decided to choose a product where you don’t have much experience with the niche, then this is even more important. You can go about getting to know your niche by finding relevant forums (like fishing forums using our example) and seeing what people are talking about. You can get content ideas, keyword ideas and even ideas about other things to promote. Most importantly, you’ll grow your knowledge of the niche so that you can write about topics without sounding ignorant. The preparation techniques above are very important to promoting Clickbank products – do not skip them. For the actual promotion, you’ll need some type of website or a place where you can create content. This can either be a free website or a hosted website where you buy a domain name (www.mysite.com). I recommend buying a domain name for this though (but you can still use a free website if you want to test things out first). After buying your domain you’ll need to get hosting and install WordPress ( you can get free web hosting and free websites at Wealthy Affiliate). You will then promote your site, especially your product review page, with various methods of promotion. You can continue to add articles to your site in the form of a blog. Each post should attract more and more people who will be interested in the Clickbank product which should get you consistent sales. Because you now have a hub for your niche, you’ll now be able to add more relevant products from Clickbank and make money through other affiliate networks that are useful to your readers. So you have your site set up but you’re not done yet. You should then have a plan to promote your website in order to maximize views. This can mean more sales for you. Each day you should be maintaining your site and adding new content. This can help you to become an authority figure in your niche which can only lead to more sales and opportunities. This is just an outline of a method that works for promoting Clickbank products. 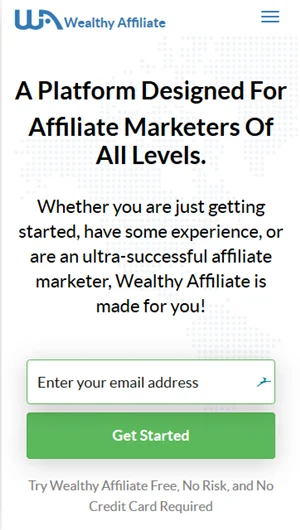 You can get free step by step affiliate training at Wealthy Affiliate if you’d really like to become a better affiliate marketer. I have been trying so hard to promote my clickbank affiliate products on facebook and my website but I am not getting sales. What’s the best way to promote my clickbank affiliate products? I checked out your website. I’m not sure if targeting freebie seekers is going to get you any sales. People are looking for free recipes might not want to buy a guide on recipes. I’m just not sure but that’s the logic. The best way to promote Clickbank products is to identify your the problem is in your niche, find the keywords that they’re searching for and create content that helps them get rid of this problem. Their solution would be the affiliate product. How about Weebly? Is this web hosting reliable for marketing Clickbank product? Sure Ainudin. You can use Weebly to build a website so you can just put the content on your website hosted at Weebly. Hosting has little to do with marketing Clickbank products. Obviously you need a web host with minimal downtime but that’s it. I think Weebly does a good job with this but they’re more of a website builder with their own hosting platform than they are web hosts. Can I promote clickbank product by google adword ? I created a clickbank account and I created a good landing page and I also created a auto responder to give a gift like a PDF file for free who are not instant interested with my current clickbank offer . All that I made to promote clickbank product on google adword by paid campaign . But problem is they terminated my clickbank account yesterday. I tried to contact by phone contact but the result is currently they have not available any affiliate support . I send email to clickbank but they are not responding me. So what can I do . And why the terminated my account ? If possible please help me Mr. Jay Gumbs. If you want to see my landing page i will show you my friend . You can promote Clickbank products using Google Adwords but you definitely have to do a landing page. However, the website that the landing page is one needs to be relevant to the product that you’re promoting and it also needs to have great supplementary content (just like what I talk about in this article right here). Google does not just want to see a “gateway page” meaning a page that is only designed to be a midway step between a Google visitor and the product you’re promoting. About the Clickbank termination, I would say you probably did something that is against their terms. Did you spam anyone using your autoresponder? Maybe you got reported for that or some other violation. Without knowing how you were promoting Clickbank products, I can’t say for sure but if you’re honest with yourself you probably have at least a nagging idea of what you might have done to get your account terminated. Anyway, don’t let being terminated stop you from making money online. There are lots of other alternatives to Clickbank that you can affiliate with. Just make sure to read the terms of service/rules and try not to violate them. Jay Gumbs my friend thanks to you for your excellent information. Your discussion is supper . The article is so much helpful for me. If you would like to visit my landing page. please. I am glade-full to you if you visit my landing page and show me that wrong was . If you have time please . Well, there are a couple of things that stand out. First of all, people don’t want a free e-book – they want to get abs or lose weight. You need a better headline than the one you’re using that appeals to what people want. There are a few spelling errors. I understand that English may not be your first language so what I suggest is that you get someone to look it over for you so that they can point out errors. The third thing that I’m concerned about is whether or not you got permission from Mike Geary to give away that ebook? If not then that might be why Clickbank terminated you but I’m hoping that this isn’t the reason. Lastly, it looks as though this is the ONLY page on your website. That isn’t good if you’re using Google Adwords. Check the Adwords guidelines again and you’ll see that they need a little more than a one paged website for you to succeed. One question I also have is whether the content on your landing page is actually yours? It looks like it might be copied from one of Mike Geary’s sites. You need to create your own content for affiliate marketing to work out for you. How I promote my click bank is solo ads and craiglist and twitter messager. I just started using click bank any more ideas that I can use as tools to promote my affiliate? Do you have a website Johnny? What niche are you promoting to? I work for 3 months Clickbank and i promote on Tribaladnetwork.com. I get a good ROI.For $300 invested in advertising i earn $500 profit. Good job. The above method isn’t the only one that works. You can buy traffic also – that’s a good strategy as well but not one that works for the long term. I just became an affiliate and could use some help? What do you need help with Steven? Are you doing any sort of training in affiliate marketing or how to use Clickbank? Beside traffic, my next concern with Clickbank products is the vendors’ use of pop-up squeeze pages to steal our potential customers. How do we really know if our customers are not just buying directly from them? This is actually a very real problem that affiliates encounter with some Clickbank vendors. I think it could be against CBs TOS but I’ll have to check that again to be sure. The only way you can really know is to sign up to the vendor’s product list through the squeeze page and see if they’re overriding your links. How to promote my clickbank link without breaking the bank. What methods can I use as s newbie with no experience that I can implement right away? YouTube is a good option. I have a friend who put up YouTube videos everyday and put the Clickbank affiliate link in the description. Just find a product, think about something that people have a problem with that you can solve and make a video about it. Offer the product as a solution. That’s a good strategy that costs nothing more than the time it takes to make the videos. As an example, I’ll use your problem and that is the fact that newbies want a way to earn from Clickbank without breaking the bank. I could make a video about “How to earn with Clickbank for Free Without a Website” and give people a couple of tips on doing just that. Then I’d put a link to maybe a YouTube Profits guide in the description. I’ll also talk about the guide at the end of the video and tell people to click the description to take advantage of that method. If you really want to make this more of a business and have something where you have a better chance of getting a stable income then I recommend choosing a niche/topic and setting up a website where you can talk about that topic through blog posts. Help an audience much the same way as you would making YouTube videos and recommend the product as the solution. Is the Clickbank University Training 2.0 worth $47/month? I haven’t done a review on Clickbank University yet but I have heard that it’s good for the price. However, there are some upgrades, like the website builder that are costly and to me that’s a huge deal-breaker. I would recommend Wealthy Affiliate instead, which is a similar product and costs $49/month but you can join for free and start building your website with the free training. When you’re ready to upgrade, the first month is just $19 so you can try Wealthy Affiliate for over a month for just $19. Everything is included – website builder, web hosting, keyword research, support, and live classes just to name a few. thanks for the great article man, worth reading, I am going to sign up with Clickbank, this article really helps for newbie affiliate like me, keep doing this great work and keep sharing with us.